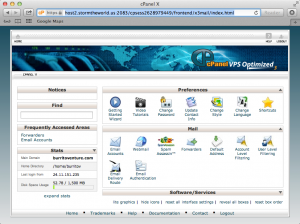 cPanel is an incredibly useful tool to help webhosts manage many accounts with ease. 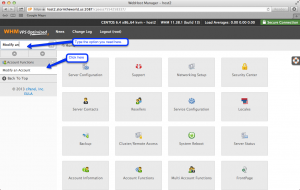 If you are a designer offering application building and management to your customers, you may be hesitant to offer your customers access to cPanel, thereby allowing them direct access to all of the code you’ve built for their application. One alternative is to allow them access to just manage their email accounts. 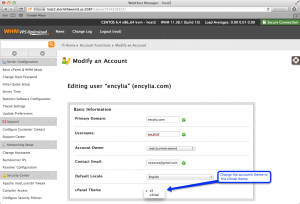 This can be done with a simple account modification through your WHM. 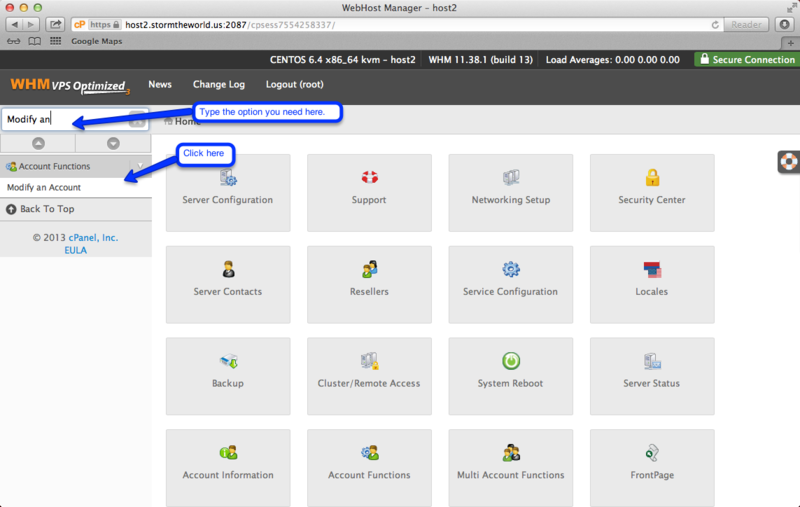 1) Start by logging in to your WHM, and finding the ‘Modify an Account’ menu option. I normally use the search box just for the ease. 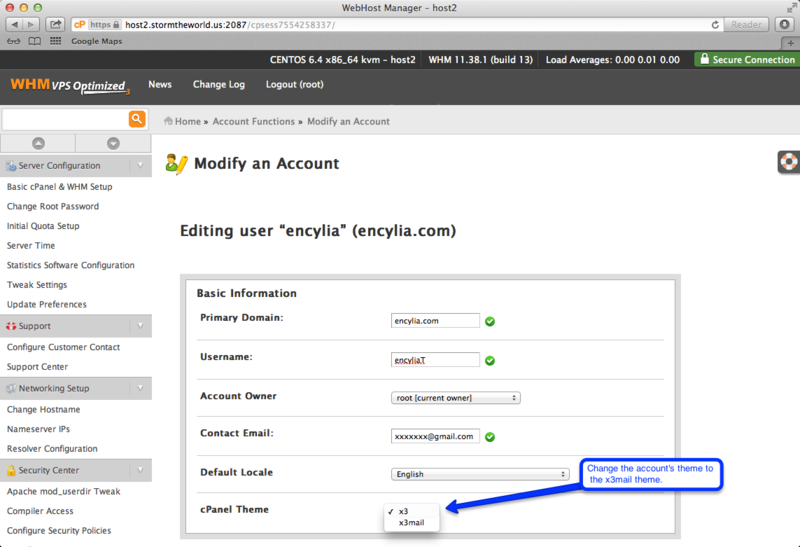 2) Once that page loads, chose the domain or username of the account you want to change, and click modify. Note: Scroll down to the bottom of the screen, and hit ‘Modify’ to ensure your changes take effect. 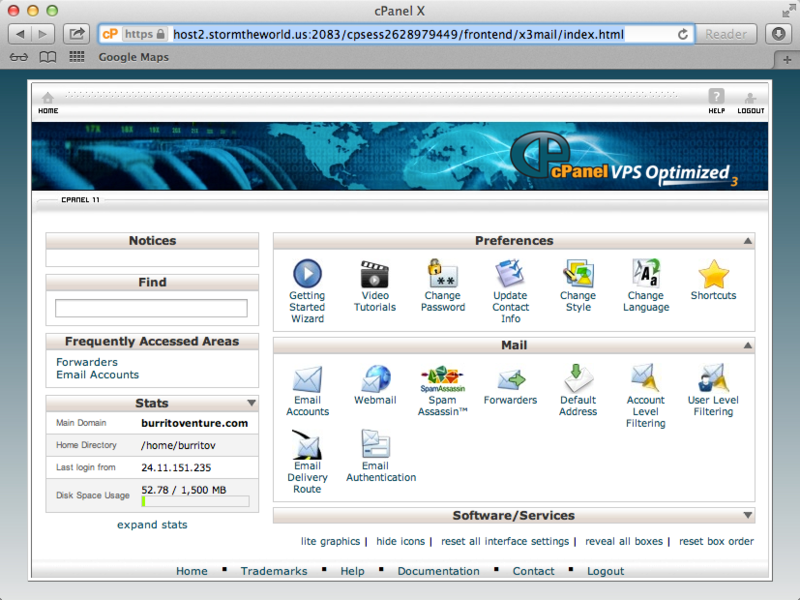 Your customer’s cPanel login page. Your code is safe, and you have removed yourself as the middle man of email management for your customer.